Sweden looks to Boeing T-X, but does not exclude other low-cost trainer aircraft. Sweden needs to replace its fleet of old trainer jets soon. The Swedish Air Force had planned the withdrawal of the SK-60 (SAAB 105) at the beginning of 2020 due to the high maintenance costs of the plane, but the government postponed the phase-out to 2026. This choice does not favor the saving, but introduces the trainer jets currently under development into the list of candidates. Last year a Swedish Air Force officer stated that they are mainly looking at the new Boeing T-X trainer jet, but they do not exclude a low-cost turboprop aircraft such as the Pilatus PC-21. The Boeing T-X is produced by the U.S. company together with the Swedish Saab and considering that the aircraft won the USAF competition, it is certainly the main candidate in the Swedish selection. According to the SwAF officer, the other aircraft that participated in the USAF T-X program are too expensive (T-50A and T-100) and for this reason the nation will look at a turboprop aircraft as an alternative to the T-X. The price will be a primary parameter in the choice. 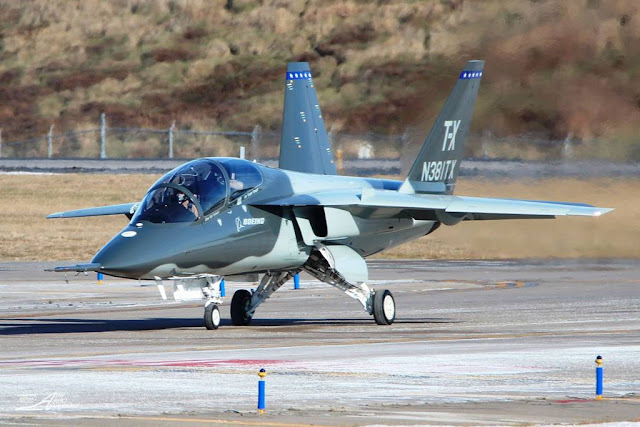 However, both companies involved in the USAF T-X competition also have other cheaper planes in their portfolio such as the KAI KT-1 Woongbi turboprop aircraft and the Leonardo M-345 trainer jet. The choice of a turboprop aircraft could be penalizing for the Swedish Air Force considering that it must select and train future pilots for the modern Gripen fighter. Turboprop have been introduced to replace the first generation of training jets as they offer significant cost savings compared to the high fuel consumption of the early jet engines, but a modern turbofan like the Williams International FJ44-4M offers similar costs to the turboprop . In addition, a jet engine provides performance similar to those of a combat aircraft and the same cockpit environment. The use of a jet for the basic and advanced stages of training offers the pilot more familiarity with the advanced systems and the tactical profiles of new generation aircraft, avoiding the subsequent long and costly phase of operational conversion.